Breakfast, it is the most important meal of the day. We all know that. But it’s also probably the one meal of the day that receives the least attention. How many of us automatically just reach for the cereal pack without giving it a second thought? Or think that oats are only used for porridge or muesli? 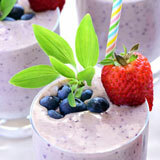 What if I told you it’s possible to make a wonderfully delicious oatmeal smoothie using good old oats? Does this make breakfast sound more interesting? Well it should. 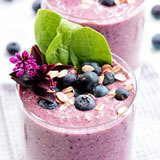 Because not only does oatmeal make a thicker smoothie but there’s an added nutritional boost. Oats contain more soluble fiber than any other grain. Specifically a type of soluble fiber called beta-glucan which has been proven to help lower cholesterol and therefore possibly reduce the risk of heart attack. You see after harvesting, oats are roasted, cleaned and hulled. This process does not remove the bran and germ, which is where the fiber and nutrients are concentrated. Not only that, but the soluble fiber results in slower digestion, leaving you feeling fuller for longer. A great weight loss strategy. 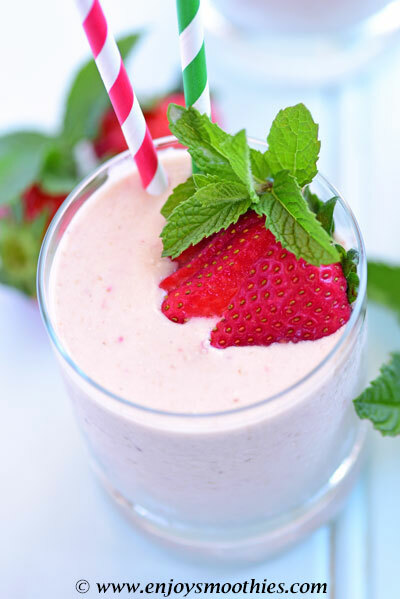 Oatmeal doesn’t need to be cooked first before adding to smoothies. Just measure out the required amount, (usually between a quarter and a half a cup), add to the blender, pulse on high for a few seconds, then add the rest of your ingredients. This makes the oatmeal much easier to blend. Oats are rich in soluble fiber, which can improve heart health, lower your risk for type 2 diabetes and help with weight control by keeping you feeling full for longer. So it just makes good sense to throw them into your blender. But which oats should you use? What is generally known as oatmeal is made of whole groats that have been steamed, then flattened by larger rollers. 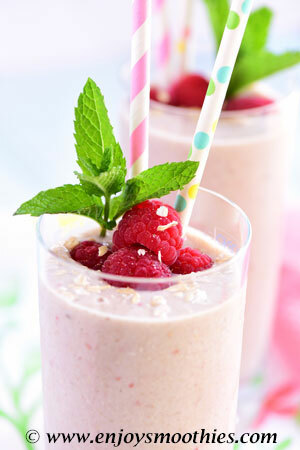 My preference for smoothies. Quick oats are steamed, finely cut and rolled, making them quicker to cook and with a softer texture than rolled oats. Regular rolled oats that are flattened even more, then cooked and dried. These contain less fiber because most of the bran has been removed. Oat groats are the whole oat kernel that has not been flattened. Often used in salads the same way you would use barley. Steel-cut oats are groats that have been sliced and they have a chewy texture, ideal for using in porridge or cereal. The least refined of the oat cereals, these are whole-oat groats that have been halved or cut into three pieces. This process results in a nutty flavour and chewier texture which is fine for cooking but impractical for smoothie making. Oats can turn rancid more quickly than other grains. Store them in a cool, dry place, or in the refrigerator for up to two months. 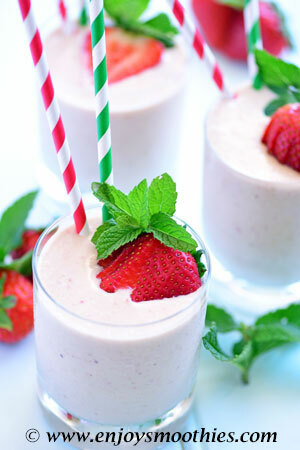 In a blender place the banana, strawberries, pineapple, oats, coconut milk and peanut butter. Blend until everything is a smooth consistency. Serve and enjoy. This will make 2 large glasses. 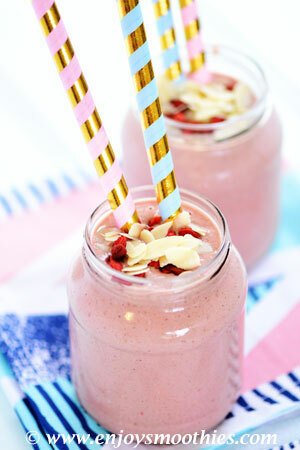 Blend together the banana, raspberries, pear, rolled oats, almond milk and cashew butter until everything is velvety smooth and creamy. 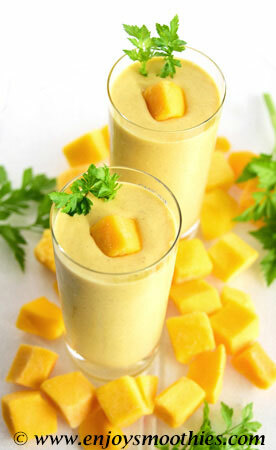 Add the frozen mango, orange segments, vanilla yogurt, coconut milk, rolled oats and grated ginger to your blender. Whizz everything together until thick and creamy. Pour into two glasses, top with toasted coconut and enjoy. First of all place the rolled oats into your blender. Pulse on high for a few seconds until powdery then add the frozen raspberries, vanilla yogurt, almond milk, almond butter, cacao powder, cinnamon, vanilla extract and honey. Blend until everything is smooth. 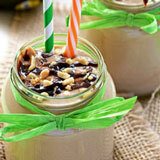 Serve in glasses, top with nuts and your favorite fruit and enjoy. Add the rolled oats to your blender then pulse for a few seconds until finely ground. 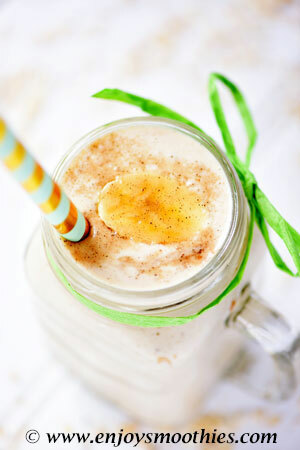 Then add the frozen banana, peanut butter, vanilla yogurt, almond milk and honey. 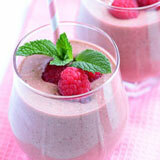 Continue blending until your smoothie is thick and creamy. This will make 2 small glasses.